Licensingpages | What is Brand Licensing? 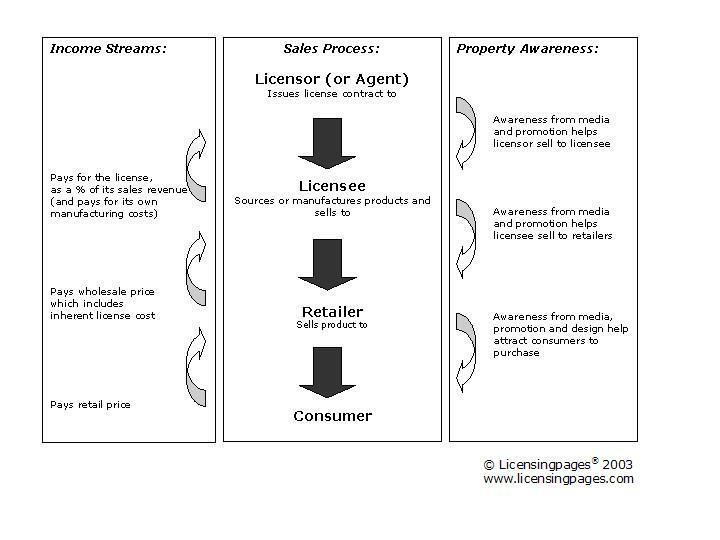 Licensingpages / Insight / What is Brand Licensing? Licensing is the practice of leasing a legally protected property (such as a trademarked or copyrighted name, logo, likeness, character, phrase or design) to another party in conjunction with a product, service or promotion. It is based on a contractual agreement between the owner of the property (or its agent) known as the licensor; and a licensee – normally a manufacturer or retailer. It grants the licensee permission to use the property subject to specific terms and conditions, which may include the purpose of use, a defined territory and a defined time period. In exchange for this usage, the licensor receives financial remuneration – normally in the form of a guaranteed fee and/or royalty on a percentage of sales. Most agreements are set out in a licensing agreement. We have licensing agreement frameworks for sale. We would always recommend using a lawyer to execute all legal documents, however being able to present your lawyers with a basic framework of a licensing agreement, such as ours, with your key commercial terms included, will help to reduce consultation time and costs at the initial stages of the legal process. The word ‘license’ can be spelled license or licence (licensing). Licence is a noun and license is a verb. Before taking using a trademark, you apply for a licence, but the licensor must license you to use it. In the USA they use “license” as a noun.